"K-Zone is a place where people who truly desire to improve every day will thrive." We consistently test, validate and optimize our protocols. Our streamlined facility is meticulously engineered for the serious athlete. Your custom program ensures you are training in the most effective way for YOU. Training is not just about the hard work of lifting heavy, throwing hard, etc. There’s so much more that impacts and influences your gains/success. Put yourself in the right environment, surround yourself with the right people. It makes a difference. Collaboration with our select partners means our athletes benefit from the sharpest minds in the industry and have early access to new projects as they are designed and rolled out. "With an in-depth understanding of baseball analytics and, more importantly, the skill set to effectively translate that data into performance enhancing instruction to each of his players, Dan has been instrumental in the continued development of the HitTrax System defining key metrics, and conceiving new concepts that undoubtedly add value to the system on multiple levels..
"Your fantastic facility is indeed a Jedi training heaven. Thanks for being a big part of our dream; a network of great facilities that test/train/improve players of all levels." $300 deposit to reserve your spot. Third and on-going consecutive months: 10 optimized 90 min. sessions with any unused sessions carried over. Playing / competing against facilities across the nation including Driveline, in real time with SyncPlay. ​and exit speed, launch angle and distance of your hits. 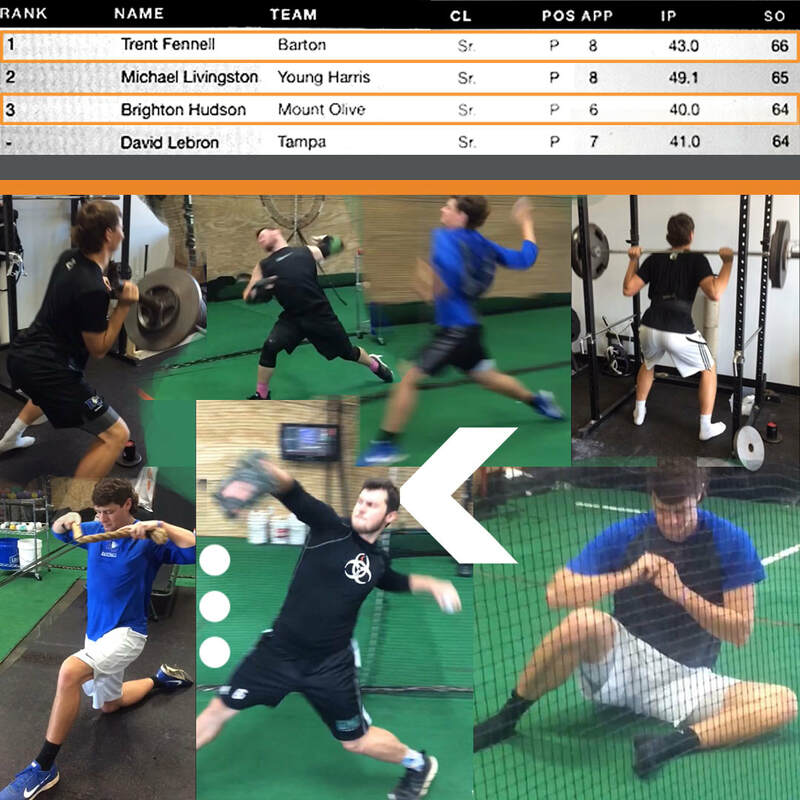 Brighton and Trent spend their summers training hard at K-ZONE BASEBALL and now they are dominating on the mound and improving their draft status. 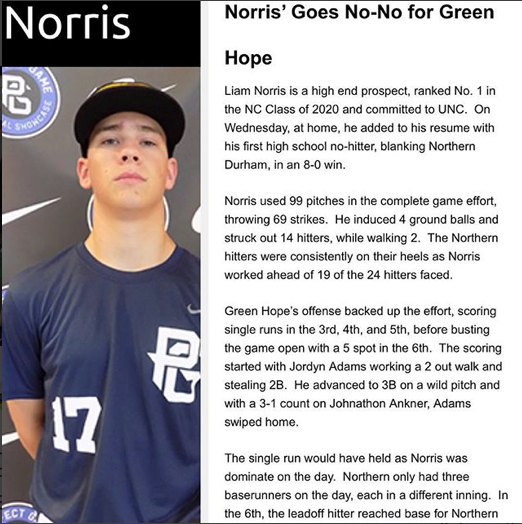 Liam is in High School, and is a high end prospect ranked number 1 for the class of 2020. ​He's making it happen! Train SBA Train smart. We study and learn your level and patterns & identify constraints and deficiencies so you are training to effectively improve your personal performance & unlock your potential. By becoming experts on your strengths and weaknesses, we discover how best to teach and motivate you to reach your goals. Your individualized regemins are meticulously formulated to optimize your training and development. This starts with a systematic approach which aligns training components with your goals. We ensure your training environment supports the work you need to do. Train along side a competitive, committed group of athletes to push yourself to new levels of performance. Know a camaraderie shared by hard work, passion, committment - and insistance on giving your best. Continuity in the improvement of your skills, abilities and processes is our mission. Monitoring, measuring and precise analyzing are essential to document effectiveness and iterate and are ongoing throughout your training.